Set up a customized Dallas MLS home search and receive new property listing in Dallas that match your search criteria, 1st day on Market! DFW Urban Realty is your source for real estate in Dallas, Fort Worth Texas! Our Realtors assist with buying, selling, and renting new homes, pre owned homes, town homes, condos, lofts, high rises and apartments. Whether you're looking to buy a home in Dallas, sell a Dallas condo or town home, or rent an urban loft in Downtown Dallas, we've got you covered! Search homes for sale in Dallas, TX including pre owned, new construction homes, bank foreclosures, and auction properties in our MLS database. 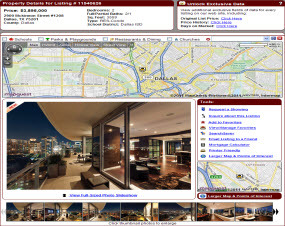 View Dallas property reports, virtual tours, Google Street View on homes in Dallas and more. Our Realtors are available 24/7 to answer any questions you have on buying a home in Dallas and specialize in all types of Dallas homes for sale. Buy and Sell a home in Dallas with DFW Urban Realty and receive a discount when you sell your home. Our Dallas real estate company utilizes the most innovative real estate solutions to provide you with advanced real estate technology and local area expertise. Our DFW Realtors specialize in urban living throughout the DFW Metroplex! If you're needing assistance with buying, selling or renting real estate in Dallas Fort Worth, Texas contact us today at (214) 764-4124. Also, check out our new site when you have a minute. Our new DFW real estate site offers the latest technology to search Dallas, TX real estate and real estate through surrounding counties, cities and communities. We understand the DFW market is very competitive and always work to ensure our customers have the latest technology, tools and resources at their disposal to assist with all their real estate needs. 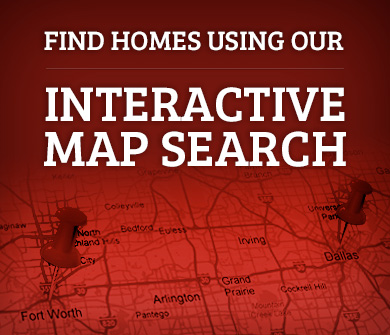 We offer multiple options to search Dallas homes for sale including a new map search with reports on recently sold Dallas homes. View information on sold homes in Dallas with exclusive VIP access to Days on Market, Tax Information, Open Houses, Listing Price to Selling Price percentages, Sold Home Data Reports with Sold Prices, Price History Changes, and Contract Dates.